CallTower earns distinction through commitment to academic customers. This Microsoft AEP authorization shows our commitment and expertise in the academic IT marketplace and demonstrates our knowledge of Microsoft and its academic products. CallTower today announced it has become a Microsoft Authorized Education Partner (AEP), demonstrating its ability to meet Microsoft academic customers’ evolving needs in today’s dynamic business environment. 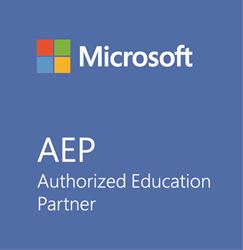 The AEP program is designed to train participating resellers on Microsoft’s Academic licensing, authorize them to purchase and resell Microsoft Academic licenses, and demonstrate to potential customers that they are approved and knowledgeable academic partners. Since its inception in 2002, CallTower has built a business communication technologies portfolio with the foremost providers in the industry, including Microsoft, Cisco and Adobe Connect. With the convergence of Telecommunications and Internet Technologies a revolutionary new industry has emerged; changing the way people communicate and do business around the world. While the industry evolves, CallTower’s mission has consistently remained the same — to enable people to easily connect and get work done. As an accredited AEP, CallTower is dedicated to further educating and serving their existing base of higher education customers as well as supporting new customers as valued Microsoft IT technology advisors. CallTower delivers the world’s most universal communications software package with a complete phone system by adding hosted IP voice and conferencing capabilities to Microsoft Office 365, enabling organizations to boost productivity and save money. CallTower’s Office 365, Skype for Business solution is enhanced with mobility apps, voice mail options, security, storage, collaboration and conferencing plans, call center capabilities, CRM integration and call recording. This offering is further enhanced by CallTower’s proprietary desktop or mobile application provisioning platform, a single point of support and 24/7/365 US-based service.